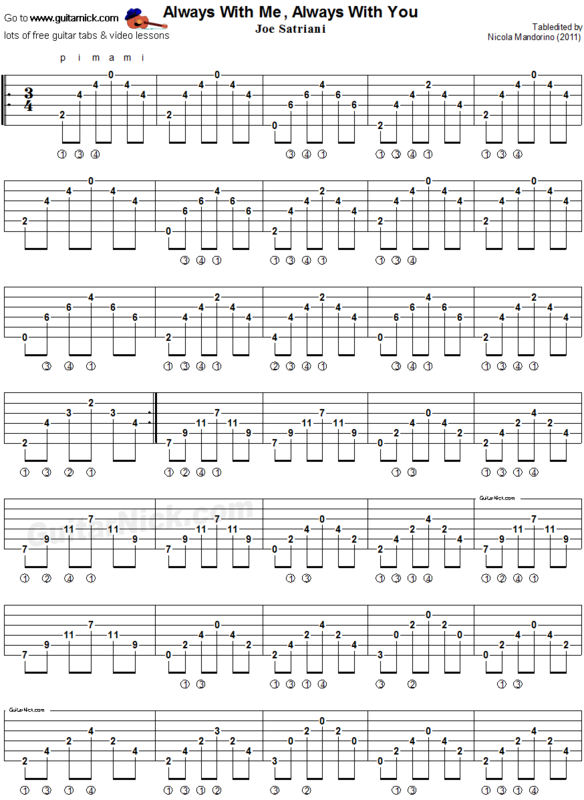 This is the arpeggio of this piece by Joe Satriani. In the original Joe plays this part with a pick on electric guitar, muting the strings with his right hand on the bridge. 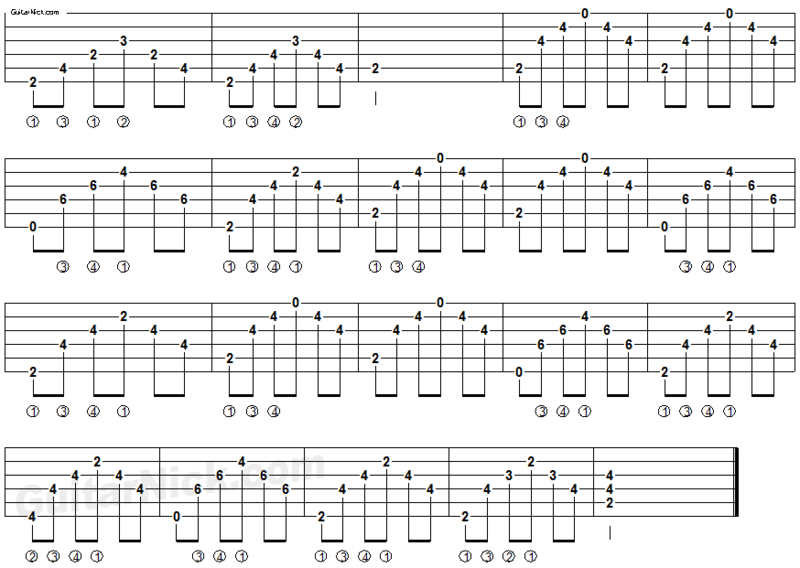 I like playing this arpeggio fingerstyle, with feeling and a bit slower. The chords progression is beautiful and modern and gives a sense of peace. Scroll the page down to view the free guitar tab, chords progression and my video tutorial on YouTube.